We’re Pure Flowers. We’re Elen and Ludmila. 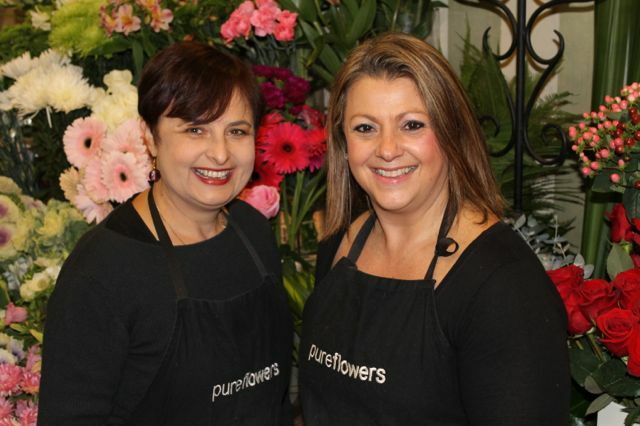 We, Elen and Ludmila, are the owners and floral designers of Pure Flowers, a boutique florist in Lane Cove, Sydney. We absolutely love what we do and we’re so proud of how eyes light up when people receive our bouquets, arrangements and blooms. We aim to make each stunning bloom sparkle in creative designs that spread joy among all who see them. Yes, we’re aiming high, but it’s what we aspire to and live by every day. So, how did our little story come about? Well we didn’t meet until 2005 at Pearsons School of Floristry, Sydney. Before that, who would’ve guessed, but our lives were almost in parallel. As kids, we went to the same primary school (one year apart), but never met. We both had the same habit of constantly picking flowers and making little arrangements for gifts or vases at home. As adults, we both followed corporate careers (Elen in finance, Ludmila in marketing) until a lightbulb moment hit us at almost the same time – if flowers are what make us happy, then that’s what we should do! Perhaps it was fate which saw us both enrol in and meet at Pearsons in 2005 and then we also discovered we’d chosen the exact same flowers for our bridal bouquets. Amazing! After working together on floral projects for quite a few events and weddings, we decided to jump in and bought pure flowers (previously Ellen’s Flowers) in 2011. From that moment on, neither of us have regretted our career changes – even with the very early mornings at the Sydney Flower Market. We love being there as the doors open at 5am to hand-pick only the freshest blooms from our trusted growers and suppliers. Over the years our team have created thousands of bouquets, delivered many messages of love, friendship and care and designed countless wedding flowers which we have seen brighten so many faces. That is why we love doing what we do – surprising and delighting people by spreading joy through beautiful flowers. 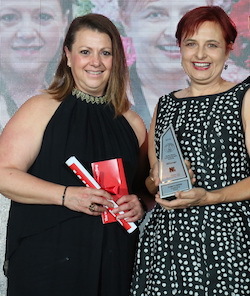 We were thrilled to have taken out the top award for Outstanding Florist at the prestigious 2015 North Shore Local Business Awards on 11 November 2015. We are honoured to be recognised by our local community. We are so lucky to do what we’re passionate about; but, what makes it most special is being part of making others smile and be happy. There’s a lot of positive power in flowers, especially those received as a surprise. Our boutique florist in Lane Cove, Sydney, is open six days a week or you can surprise and delight yourself or your loved ones any time by ordering online for delivery across Sydney.